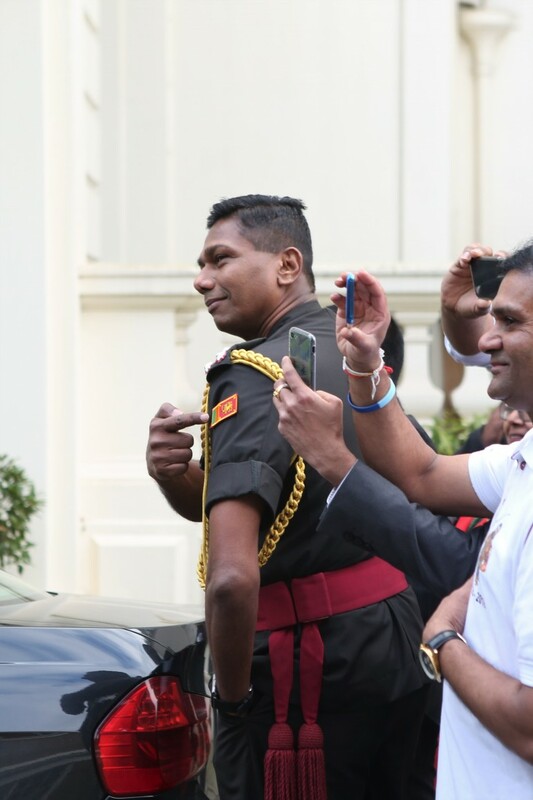 The chanting of ‘shame on you’ repeatedly at the Sri lankan diplomats who were simply laughing and taking pictures and video blogs on facebook of the activists promoting their own social media calling the activists as terrorists and so on were a sight to see. It is during such a time the Brigadier Mr. P. Fernando stepped out of the embassy looked at the activists, pointed the sri lankan flag with his index finger and gestured a throat slit signal. Almost a year has passed, and with the help of a private prosecution put forward by three activists and with the aid of video evidence, Westminster Magistrates has found the Ex. Brigadier guilty of two of three offences under Public Order Act by signalling a death threat to tamil protestors on february 4 last year. The courts issued an arrest warrant on Fernando ruling that his actions were threatening, caused harassment and that he intended to be so. 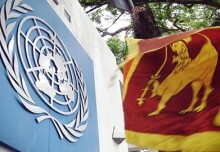 There may be an international arrest warrant issued for the ex-defence attaché and if the Sri Lankan government refuses to cooperate its high commissioner in London will be summoned to appear before the court according to sources.